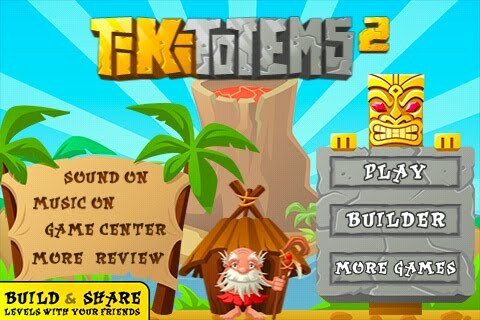 Spokko has given you the chance to save the Tiki Totem 2 village by completing addictive puzzles. If you fail to do so you'll awaken the volcano! Are you up to the challenge? 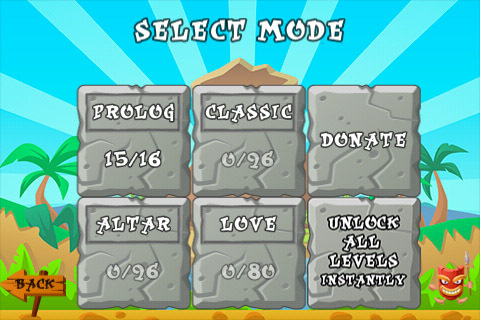 There are 288 levels within 3 game modes + (prolog) to play through. 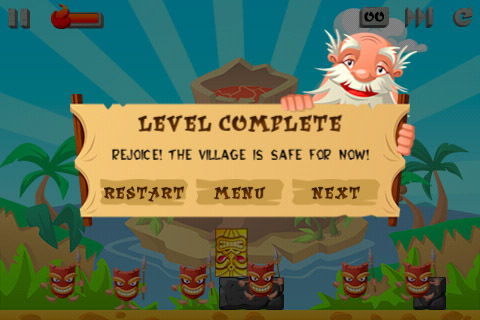 Complete each level by safely landing your Tiki character on it's rocky platform by incinerating blocks, blocking your path. 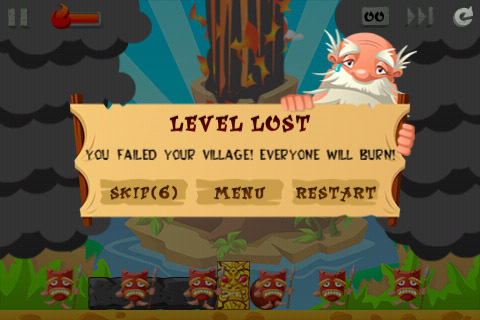 Incinerate particular blocks by simply touching them on your screen. 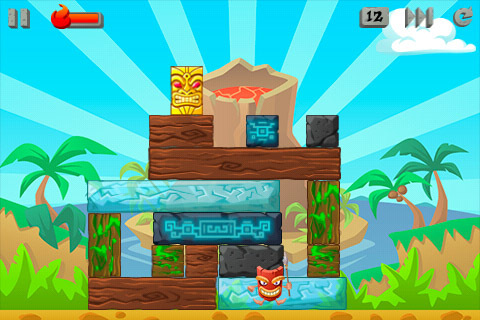 Other blocks have to be broken and destroyed by other means, such as heavy blocks falling on to them or falling on to a block of there own, etc. Create custom levels and share them with others to play through! 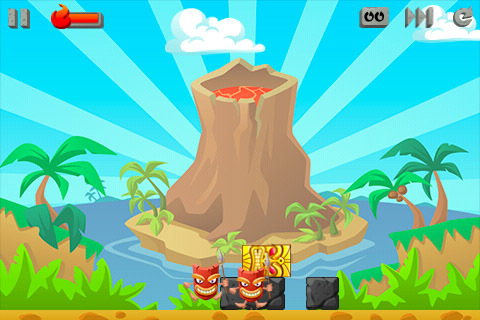 If your Tiki character touches the ground the volcano will awaken and destroy the village. Launch iTunes! Spokko.com Coming Soon!